The Pacific Coast Highway, also known as the PCH and CA-1, is a 600+ mile tour of the best beaches that California has to offer. It starts in Southern California at Dana Point, weaving in and out of cities and towns until it ends in Northern California when it hits Highway 101 in Leggett. 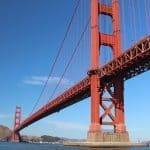 Because of it’s easy access, you can start your Pacific Coast Highway road trip pretty much anywhere, and then it’s up to you to go north towards the redwoods and parks or south towards the popular beaches and big cities. You can drive part of it in a day or take a week or more and drive the entire thing! 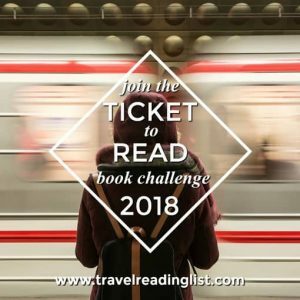 Rest assured, whichever route you decide to take, you will be rewarded with gorgeous views of the Pacific ocean and plenty of things to do along the way. So pick a point and hop in the car! The PCH can be divided into three sections as it travels along the California coast: Southern, Central, and Northern. The Pacific Coast Highway starts in Dana Point and travels along the California coast through the heart of Newport Beach, back to the ocean, and then through Huntington Beach. As it heads up through Los Angeles, it turns into Sepulveda Boulevard which will take you past Los Angeles International Airport, and then turns into Lincoln Boulevard as it continues through L.A. neighborhoods. 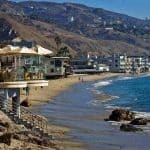 After you pass through the McClure Tunnel in Santa Monica you will once again get the beautiful ocean views as you continue on up through Malibu. If you want to see people and popular beaches, this is the section of PCH is for you. Although it can be very congested, it will clear up as you get north of Santa Barbara. 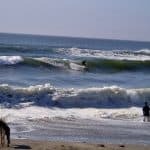 Some of the state beaches between Laguna and Newport are going to be quieter, and Crystal Cove State Park has some excellent hiking opportunities if you want to get out and stretch your legs. 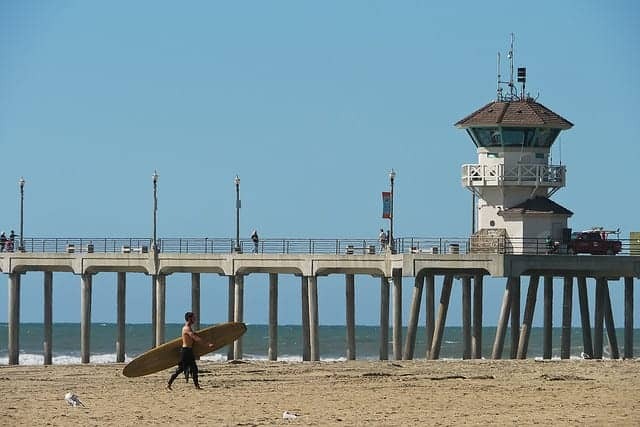 Huntington Beach, known as “Surf City” is the place to stop to watch surfers or take a surf lesson. Main Street (look for the pier) is a great place to grab a bite to eat. The PCH also takes you into L.A. and through Santa Monica, where you will find Third Street Promenade, a popular shopping area (stop by LUSH for some handmade soaps). There is a Farmer’s Market every Wednesday from 8:30 a.m. to 1:30 p.m., and Saturday from 8:30 a.m. to 1 p.m.
You should definitely stop and experience the Venice boardwalk. See the famous Muscle Beach (yes, there are photos of Arnold Schwarzenegger posted on the side of an information building), local vendors, and random performances that occur on the boardwalk. Find out if every rumor you have heard about the Venice boardwalk is true (and chances are, it is). If you were a fan of the TV series M*A*S*H, or the movie Planet of the Apes, take a side trip the Malibu Creek State Park, where both were filmed. The park has 15 miles of hiking among oak and sycamore trees. You may also want to visit the Getty Villa in Malibu, which is a museum dedicated to the study and showcasing of the art and cultures of ancient Greece, Rome, and Etruria. After Point Mugu, CA-1 heads inland again, merges with Highway 101, and then heads back to the ocean. North of Santa Barbara, CA-1 runs along the coast and enters the even more scenic Big Sur region. Continue north through Monterey and Santa Cruz. Santa Barbara is a great place to stop for a meal, an adventure on land or on water, or to stay overnight before continuing on your adventure. It’s about 3 hours north of Dana Point (if you were to cruise through and not hit any traffic). If you’re interested in trying out luxury camping, travel 15 more miles north of downtown Santa Barbara and stay at El Capitan Canyon, nestled in a canyon just across the freeway from the ocean. Ventura is the place to start an adventure out to the untouched Channel Islands. Channel Islands National Park is comprised of five islands (Anacapa, Santa Cruz, Santa Rosa, San Miguel, and Santa Barbara) and their ocean environment. Isolation over thousands of years has created unique animals and plants that can’t be found anywhere else on Earth. Every island is different, but beautiful, so you can’t go wrong! Didn’t think there were any castles in California? Think again! 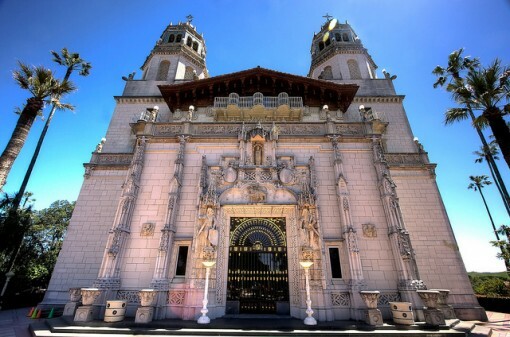 Hearst Castle became what it is today – 165 rooms and 127 acres of pools, gardens, and walkways – in 1947. It was designed and created by William Randolph Heart, whose father originally purchased the land. Visitors can take guided tours of this magnificent estate the encompasses more than 90,000 square feet! Look for the elephant seal colony at Piedras Blancas in San Simeon. This segment crosses several historic bridges, including the Bixby Creek Bridge and the Rock Creek Bridge. Visit the Monterey Bay Aquarium and learn more about the creatures that live in our oceans. Walk the Santa Cruz Beach Boardwalk, and check out a show or ride the Giant Dipper roller coaster! Cross the famous Golden Gate Bridge in San Francisco after merging again with Highway 101, continue past Point Reyes, until the highway heads inland and meets CA-271 and Highway 101 for the last time. Be sure to check ahead of time for road closures due to periodic landslides between Half Moon Bay and Pacifica. Towns are also more spread out in this area, so be sure to fuel up whenever you can! The PCH heads right through the Presidio neighborhood of San Francisco (called 19th Ave. at this point), with many different restaurant and hotel options if you’d like to eat or stay the night before heading on. Stop by Golden Gate Park before heading over the bridge, or Baker Beach, a popular picnic spot. Don't miss the towering Redwood trees! The northern section of the Pacific Coast Highway thins out in terms of towns and cities, but has some of the most breathtaking views yet. Expect to make several stops along the way for photo opportunities. If you want to keep driving, the 450 miles from central California to southern Oregon is known as the “Redwood belt” for the Coast Redwood trees that grow here. In fact, these trees can now only be found in this area. 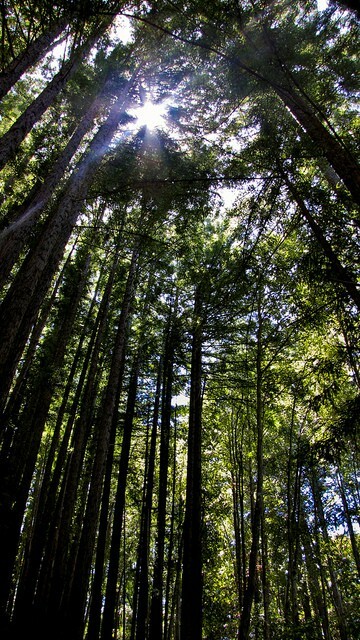 The Coast Redwoods can grow over 320 feet tall and live for more than 2,000 years – surely a sight to see! If you want to spend some time among the Redwoods, stay at the Harbor House Inn, located in the town of Elk, population 200. The Harbor House Inn was built in 1916 out of the neighboring Redwood trees, and also has a beautiful botanical garden. If you’d like to continue on through the Redwood Belt and Humboldt Redwoods State Park, go north on Highway 101 where it meets the PCH in Leggett. 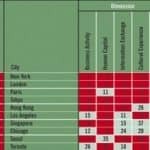 And there you have it – everything from cities to beaches to parks and Redwoods. 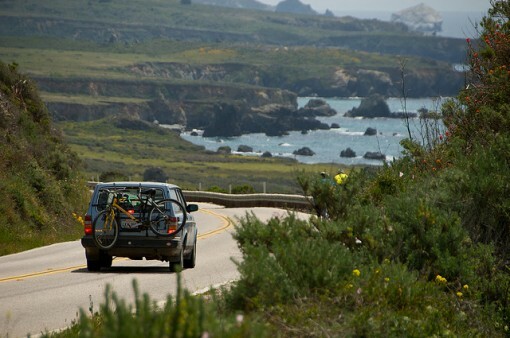 Whether you decide to do one portion or hop on for the whole ride, the PCH is definitely one of the best ways to see the natural wonders of the Golden State! Abbie Mood | Abbie lives in Denver, Colorado and is a freelance writer & Editor and teaches preschool Special Ed. Abbie's top three travel destinations are the Big Island of Hawaii, Madrid, and the Dominican Republic. Check out her website at abbiemood.com, or follower her on Twitter @AbbieMood.